As preparations move forward to build the Third Temple as the House of Prayer for All Nations, rabbis are beginning to cope with the practical issues of what that prayer will be. One rabbi has prepared a prayer book specifically for non-Jews that contains daily prayers as well as for any occasion. Under the direction of Rabbi Oury Amos Cherki, the Noahide World Center-Brit Olam created a prayer book for Noahides. 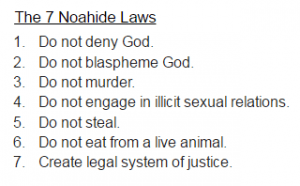 Noahides are non-Jews who perform the seven Noahide laws incumbent upon all of mankind with the intention of doing so because it is God’s will. The structure of the prayer book is comprehensive and very close to that of the Jewish Siddur (order), including prayers for regular weekdays, the Sabbath, holidays, and a full Haggadah for the Passover seder ritual. There is also a section titled “Gates of Learning” to help clarify the fundamental principles of faith. 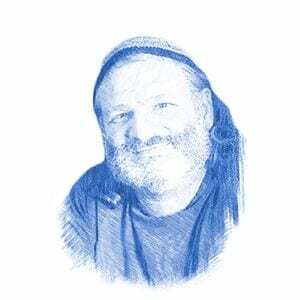 Rav Cherki believes that it was essential to create a prayer book for non-Jews now. As a part of his philosophy, Rabbi Cherki places a particular emphasis on the meaning of Zionism and the establishment of the state of Israel. He asserts that the birth of modern political Zionism signified the atchalta d’geulah (beginning of the redemption) and the non-Jews play an important role in this Jewish redemption. This being the case, he maintains that it is now time for Jewish people to perform their Biblically mandated universal function: to bring blessing to all humanity while respecting the distinct national identities. As such, Brit Olam produced a unique prayer book to fill this need. Though based on Jewish prayer, the Brit Olam prayer book is very different than a Jewish siddur. A surprising addition to the Brit Olam prayer book was the Shema, the twice-daily declaration by Jews of God’s unity. This multi-national prayer is consistent with Rabbi Cherki’s vision of the Third Temple on the Temple Mount as a place of universal prayer. Rabbi Cherki requested that the article contain a blessing for the readers. “I would like to bless all of mankind to see how we uniquely merited to live in the time when the nation of Israel returned to our land so that we can finally fulfill our mission to serve as the hosts at the center of brotherhood for all of mankind to become closer to God,” Rabbi Cherki said. The Brit Olam prayer book can be viewed in part as a PDF or purchased as an app for Android cellphones. A paperback or hardcover copy of the book can be ordered from Amazon.